BANGKOK, Nov. 5, 2018 /PRNewswire/ -- Aviation and aerospace industry is growing rapidly worldwide. Thailand takes the advantage from this trend as well as its aviation market leadership to bring its aerospace and aviation industry to new heights. According to its Commercial Market Outlook 2018, Boeing forecasted that in the next 20 years, Asia Pacific will become a major market where fleet of aircraft would be increased 2.8 times from current fleet of 6,139 aircraft to 16,977 aircraft in 2036. This trend will boost demand for commercial aviation services, ranging from supply chain support (parts and parts logistics) to maintenance and engineering services, aircraft modifications and airline operation services. The center of such business, which is now in North America and Europe, will shift to Asia Pacific in the next 20 years. Thailand, with its strategic location in the heart of Southeast Asia, is already an aviation hub of the region. The continuous growth in the tourism industry and national economy has driven the country's air traffic to increase three times faster than the global market. In 2017, the number of aircraft movements at the main airports operated by Airports Authority of Thailand Plc (AOT) grew by 5.41% to 833,084 flights. Considering passenger movements, the number of passengers handled at the AOT's airports grew by 9.37% while freight and postal parcel volume increased by 9.68%. Together with the increasing aircraft and passenger movement, the country's 38 commercial airports, diverse international and local airlines operating in the country make Thailand one of the fast-growing maintenance, repair, and overhaul -- MRO -- services industry and several companies involved in the manufacturing business. Considering such high potential, the Thai government has included aerospace in the targeted industries that will promote national competitiveness and Thai economic transformation. 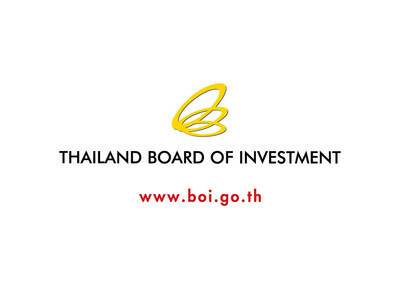 Thailand's Board of Investment (BOI) also promotes the industry by offering investment incentives to aviation-related activities, namely manufacture and repair of aircraft or aircraft parts, manufacture of aerospace devices and equipment, aerospace operating systems, air transportation services, etc. Investment projects in this category are granted 8-year maximum corporate income tax exemption. With all supports already in place, 51 projects from 26 companies have been promoted under aircraft part manufacturing activity while 16 projects have been promoted under aircraft and part maintenance and repair activity. Thailand's aerospace industry is ready to take off and fly high as the development of the Aerotropolis, or an Airport City, in the Eastern Economic Corridor (EEC) is on the fast lane. A comprehensive roadmap of U-Tapao Airport and other facility development is clearly laid out. Once completed, the face of Thailand's aerospace industry will be changed. The comprehensive Aerotropolis development plan includes U-Tapao Airport expansion plan, under which its total capacity will be increased from 5 million passengers per annum today to 54 million passengers in the next 30 years. New passenger terminal and runways will be built to support this expansion. Other facilities to support the aerospace and aviation industry include a custom free zone, the train system linking Suvarnabhumi, Don Mueang and U-Tapao airports, the development of an ICD in Chachoengsao, Laem Chabang Port Phase 3, Map Ta Phut Port Phase 3 and dual track train projects. In support of EEC Aerotropolis development, BOI offers additional 2-4 years corporate income tax exemption for investment projects in targeted activities that have cooperation with an educational institution to develop human resources. At the heart of the Aerotropolis, the 10-billion-baht Thai Airways International's MRO Campus, a cooperation between THAI and Airbus, will be built. Located on an area of 83 acres on the east of runway 2 at U-Tapao Airport, the facility will have the capacity to provide comprehensive services from traditional to predictive and prescriptive maintenance of a wide variety of aircraft from all makers. The MRO will have the capacity to provide maintenance service to 80-100 aircraft per year in the first 20 years. The TG MRO Campus, when complete in 2023 will become one of the most advanced, state-of-the-art facility in Asia. It will use advanced technology like Big Data & Analytics, Maintenance Information System, Aircobot (computer + robot) for aircraft inspection, 3D printing, etc. Of course, this indirectly means more technology transfer and people development activities. With state-of-the-art facilities and technology, the MRO will become another MRO hub for Asia, mainly serving airlines in Thailand and the Asia-Pacific. It is hoped that the project will in the future capture 4% market share in this industry in Asia. Seeing Aerotropolis taking shape, local related industries are enjoying opportunity to lift their capability from local suppliers to advanced aerospace part suppliers. The aerospace industry will enormously benefit from the country's huge pool of more than 2,000 tier 2 and 3 local automotive and electronics manufacturers and suppliers. These companies have high potential, experienced workers with good knowledge, and skills. By applying some advanced technology and knowledge, they can upgrade their skill and capability to transform themselves into aerospace part suppliers. Mr. Remy Maitam, President, Triumph Aviation Services Asia, Ltd., a repair and overhaul service provider based in Thailand, said, "We see tremendous growth in the size of aviation fleet in Southeast Asia, which in turn raises demand for aviation services. Thailand has world-class infrastructure, quality workforce with excellent craftsmanship as well as efficient government, which makes perfect ecosystem for our business. Attractive tax incentive, easy process for work permit application for our expats, business friendly environment, and healthy lifestyle, all make investing in Thailand a pleasant experience for us in doing business in the heart of the fastest growing economic region in the world."